Our line of heavy duty casters is excellent for heavier applications. Not all kingpinless casters are created equal! 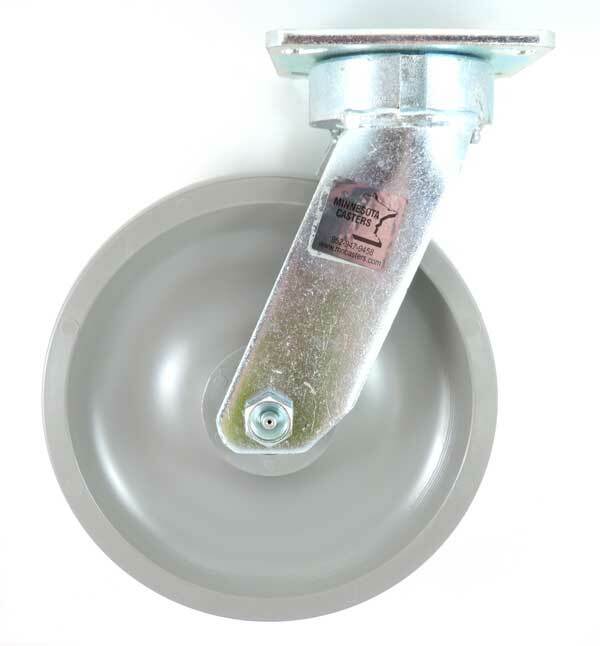 The patented kingpinless swivel raceway design is absolutely the best in the industry. These feature a maintenance free sealed ball bearing and are better able to handle impact, abuse and heavy loads allowing them to outlast the competition. If you don’t see what you need, just give us a call-there’s a good chance we have it!